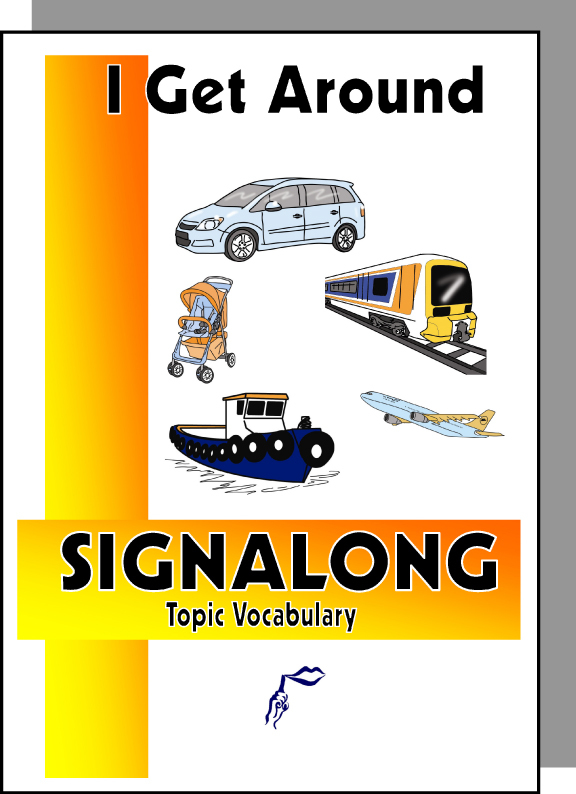 A5 book of 62 signs for transport and moving around. It has 4 sections: "With a Little Help" for non-mechanical assisted travel (e.g. pushchair, horse, wheelchair etc); "I Can Do It Myself" for self-propulsion (e.g. bicycle, roller blades, skis etc); "Power up!" for mechanical transport (e.g. aeroplane, escalator, taxi etc); "On the Water" for water-borne travel (e.g. boat, ferry, pedalo etc).